I am not a ice cream person but my husband and little one both love ice cream. My little one craves for ice cream. 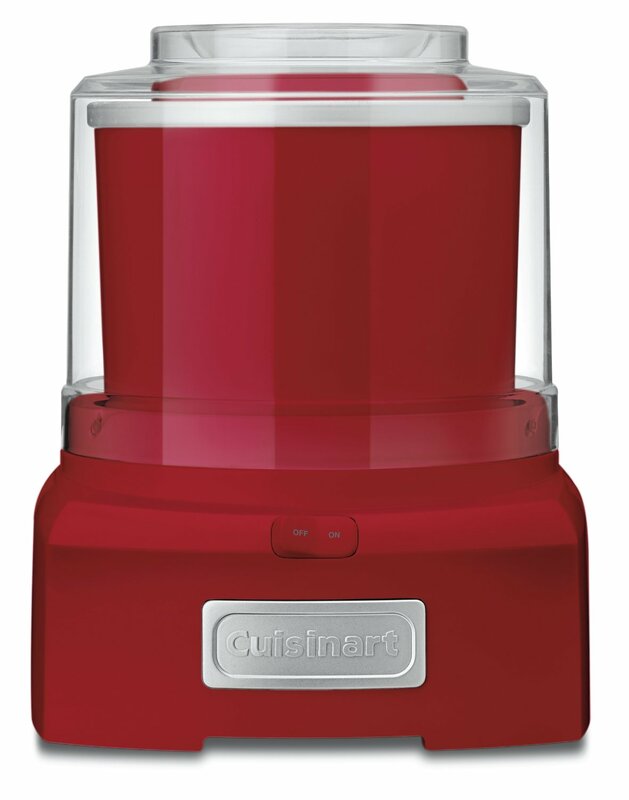 I waited for one good year before I settled with Cuisinart Ice Cream Maker. People were vouching for Kitchenaid. But honestly I am not professional cook! I wanted something compact, for smaller quantity and of course which fits into my budget. Finally we decided to go with this. There were mixed reviews,more on how the bowl needs to be freezed for at least 12 hours. Yes, if you don't plan ahead you wont have your ice cream instantly! I have made a space for this bowl in my freezer. I just have to make the mixture,leave it in the refrigerator for 2 hours and my ice cream will be ready in 20 minutes. The red color makes this very attractive and a right size for smaller batches. If you plan to make it for bigger groups you may have to make it multiple times. The motor is small and fits well into our pantry. When in use the sound is minimal. It comes with a plastic paddle which should be placed into the freezer bowl. 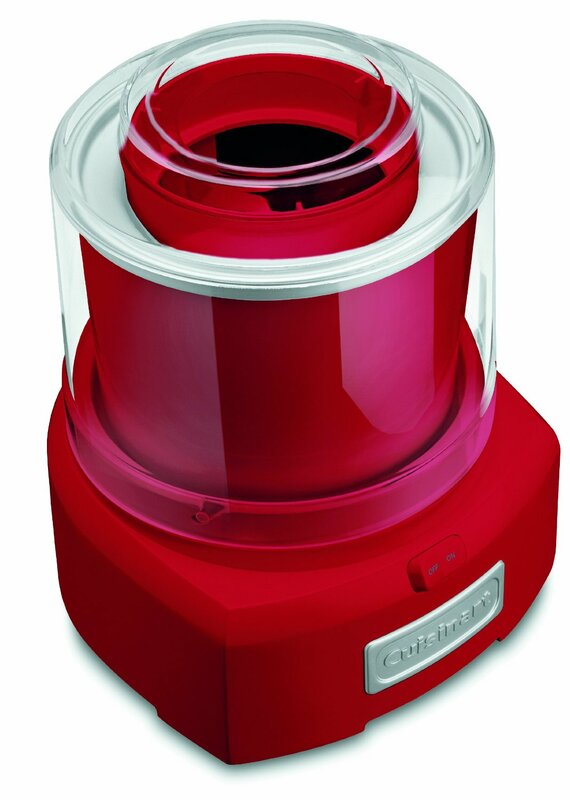 The bowl rotates and then slows down when the ice cream churns into a creamy texture. Sinfully delicious is what I would say for this dessert ! So easy to prepare. Just a few grated melons is what we need. Rest of the ingredients will be easily available in your pantry. Both my husband and I are so addicted to this dish. This dish is originated from Karnataka and I am still not very sure why is it named as Kashi Halwa.This is a must in ceremonies at Mangalore, usually served for breakfast. This is the third time in row I have made for any occasion which calls a dessert or sweet dish. My ninja food processor does a wonderful job in grating the melons and it's a cakewalk for me to make this. The only drawback of this is (which I truly dislike) is the quantity shrinks greatly. Two large pieces of melon is what I used today and the final dish can be served to 3-4 people. Must say the serving portion can not be generous if you want to squeeze in more people for this quantity. The version I have made is with sugar. But I very clearly remember my grandmother making it with jaggery and would call it a healthier version. I really did not understand at that age jaggery is better than sugar. However I like both the version and next time I make it with jaggery I will surely post the pictures. I have not added any color. I do not add colors to food, I can say I do not have any at all. The golden color is due to continuous stirring on very low setting and kesar (saffron). I love the golden color it gives to halwa or even kesari bath. Nagarpanchami can be considered as a second festival of Shravana Maasa. I am considering Chudi Puja as the first one. Though it is celebrated for the whole of this month when done with family members its no less than a festival. From what I have understood from my in laws and of course through google, Nagarapanchami usually falls on the 5th day of Shravana Maasa. Due to difference in Panchang people may celebrate on two different days. To avoid any confusion I have made a practice to follow on the same day as at my in laws in Mangalore. It is believed that Nagadevu should be worshipped in the traditional place of worship. So devotees offer worship before the stone images of the Nag Devtha in temples.I grew up watching this puja done to particular stone image which was placed under a tree behind our house. When asked why that Nagadevu can not be brought home, my grandmother told me we can not keep Nagadevu stone image at home. On this day serpent god is worshipped with ghee, milk, sugar, honey, and tender coconut. On this day the serpents are expected to come out of thier holes. Worshipping them with milk, tender coconut, turmeric, flowers, and honey are considered good. My mother in law has always made the puja by offering tender coconut. 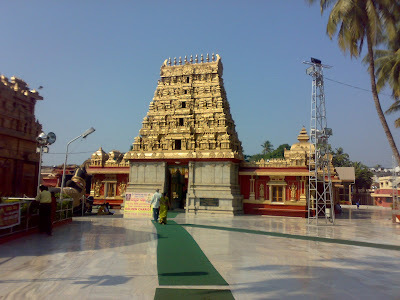 Places such as Subrahmanya in Sullia, Kudupi in Mangalore, Kalavar in Kundapur, and Manjeshwar in Kasargod attract a large number of devotees on Nag Panchami. 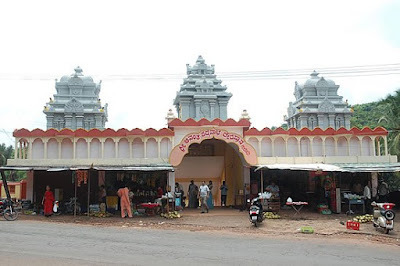 Kudupi in Mangalore is a place we dont miss visiting whenever we visit India. Though Nagarpanchami puja is done in temples there are certain rituals followed at home. Obviously avoiding onion and garlic is on top of the list. We do not make a tadka of chillies. It is believed the spice created from hot oil and chillies are not good for nagadevu. We typically make something grinding red chillies and a tadka of only mustard seeds and curry leaves. Or make something which does not need any tadka. I usually prefer making batata hinga udda or ghashi which calls for simple tadka. Chappi Kheeri and patoli is made religiously on this day back home. Unfortunately I have never found turmeric leaves here. The ones in my pot are still sprouting. So I decided to make khashi halwa ( kuvvale in konkani and winter melon in english). Its been ages I have not been present in my hometown Thirthahalli or in Mangalore during this festival and thus I do not have any picture for this day. I still wanted to write about this as a record of what our ancestor Sampradaya’s are. There are tons of recipes and also rituals which are forgotten. This is my humble effort of jotting down of our tradition. Until I completed my 12th grade or 2nd PUC is what it used to be, I grew up in a joint family. A very big and 70 year old house with 14 people living in it is how I remember my childhood. Memories of my maternal grandmother, 3 uncles and their families, then 3rd generation (which I belong to) are a lifetime treasure to me. In the midst of love affection and complexity of living in such a big family I have enjoyed every festival of our community. My grandmother, a woman with such a beautiful heart though not very rigid with tradition, celebrated, rather I would say kept all our tradition/sampradaya alive for many years. Blame it to my childhood, innocence or ignorance I did not record any of what was done at our house. When I got married I stepped into a house, where everyone are equally traditional yet modern people. All the festivals are celebrated with no compulsion. I have been married for more than 6 years and never owned a wet grinder. There was no reasons for me not to buy Indian Mixer or Wet Grinder. I was using US made blenders from different brands. It was last year I even bought a Ninja Blender from costco for which I will be writing review soon. Whenever my friend served me idly the temptation to buy an Ultra Wet Grinder only got stronger. Finally it was on the top of my list during our last visit to India (Its already 7 months I own this grinder, time really flies!). How can I not own this for the last 6+ years? This is a total savior if dosa/idli are a must at your house. I am in love with this little (heavy though :) ) gadget which is sitting in my pantry. We relish idly and all types of dosa now. Neer Dosa which is my daughter's favorite is now staple and have never tasted so good before. The only downside of this grinder is its not tilting. For the wonderful job it does I can actually forgo that feature. Only if the batter is of large quantity it's time consuming to empty all the batter. But neer dosa batter is always a bliss! 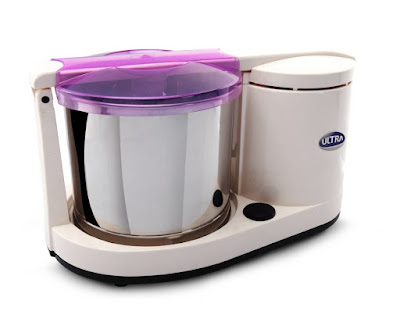 If you are thinking of buying a wet grinder my vote would be surely for Ultra brand. 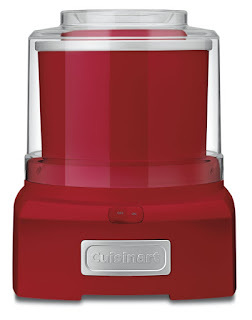 As I said before this is my first wet grinder ever and I have no experience with any other. However I did a bit of research and also have personally seen people owning either Ultra or Premier. Premier does have really great reviews and for people who likes tilting Premier will be a better choice. I just like the color combination and style of Ultra. Also people gave mixed reviews of Premier grinder's base. Though the performance could be equally good in batter quality I was attracted to Ultra.